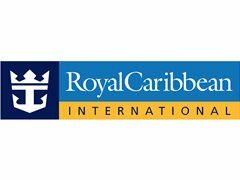 Royal Caribbean Productions, the premiere producer of entertainment-at-sea, is currently seeking exceptional dancers ages 18-35 for its fleet of 134 bespoke production shows aboard 26 state-of-the-art ships. Our choreographer will teach three challenging combinations of contrasting styles at the "live" auditions. Proper dance attire that best shows your physique is required. Ladies make sure to bring your heels. Please be sure to bring your current headshot and resume. CONTEMPORARY DANCERS: Must be technically strong, energetic and dynamic performers, comfortable in a range of different dance styles, inclusive of jazz, ballet, modern, and commercial. HIP HOP DANCERS: Must be strong, dynamic, edgy hip hop dancers, who also have the technical facility to move between various other dance styles, including jazz and contemporary. COMMERCIAL/CONTEMPORARY DANCERS: Must be technically strong, energetic and dynamic performers, comfortable in a range of different dance styles, inclusive of jazz, ballet, modern, hip hop, and commercial.